Here is a shared office design for six people per office, two at a time. Unlike the previous design, there are no mobile pedestal units. 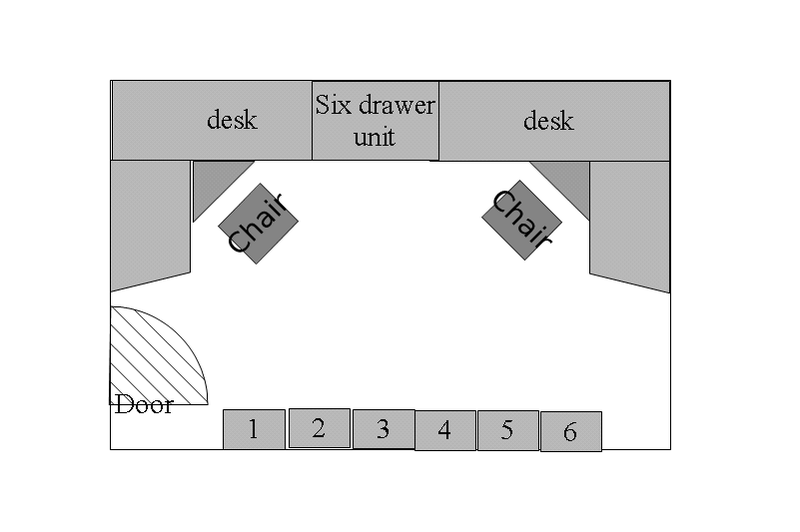 Instead there is one fixed drawer per person at the desks, for small items. All other storage is in cabinets on the opposite wall. This reduces the problem of having to wheel a drawer unit around.